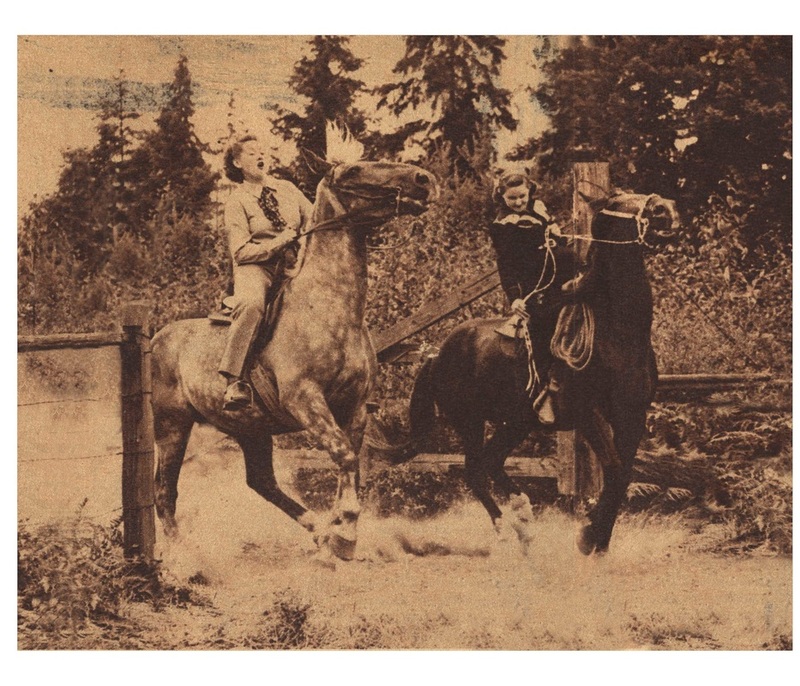 Lake Washington Saddle Club (LWSC) was formed by local equestrians in 1945 to provide a supportive learning environment and enhance enjoyment of the equestrian "hobby". 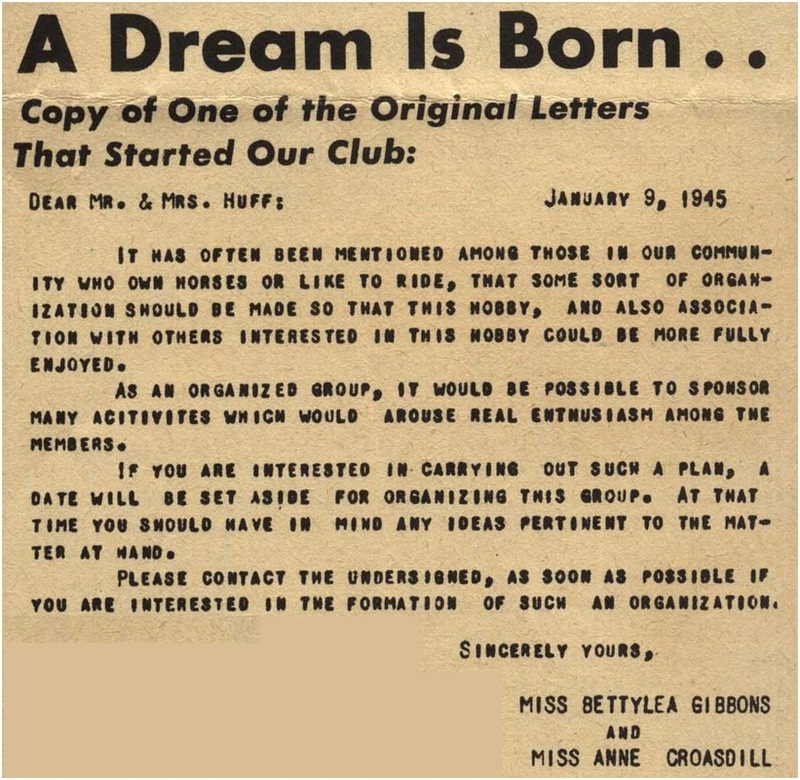 LWSC was formed to provide educational opportunities and sponsor activities that would "arouse real enthusiasm among the members" (see letter to right). Since LWSC formation, we have been doing just that! LWSC horse shows and equestrian events have provided hundreds, if not thousands, of equestrians with an opportunity to gain new skills and confidence by participating in our schooling and fun shows. LWSC provides a strong sense of community along with an environment that fosters good horsemanship and friendship. The Club has always been based at Bridle Trails State Park. Throughout the Club's history we have protected, and advocated for, Bridle Trails State Park. We helped to fund and build the first bleachers, helped in creating the arenas and have a Friend's Agreement with State Parks that works to help maintain and enhance the Park and it's facilities. Every time closure of the park was threatened it was LWSC members that lobbied and fought to keep the park open. In 2002, it was LWSC members that formed a new, separate 501c3, called the Bridle Trails Park Foundation. The "Foundation" is a separate entity that has forged an agreement with the State to keep the park open in exchange for paying for one half of the direct operating costs. LWSC maintains a strong partnership with the Foundation. 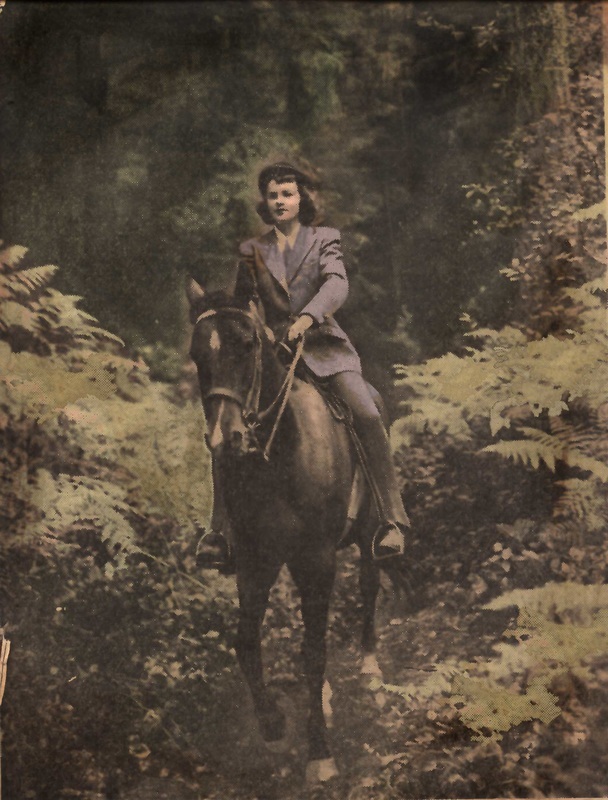 LWSC continues to donate funds, time and expertise to help preserve and maintain Bridle Trails State Park and support the equestrian lifestyle throughout the area. In spring of 2017 LWSC tax status was changed from a 501c7 social club to a 501c3, charitable organization. This enables us to expand our support and makes it possible for those making donations to claim those donations on their tax returns.